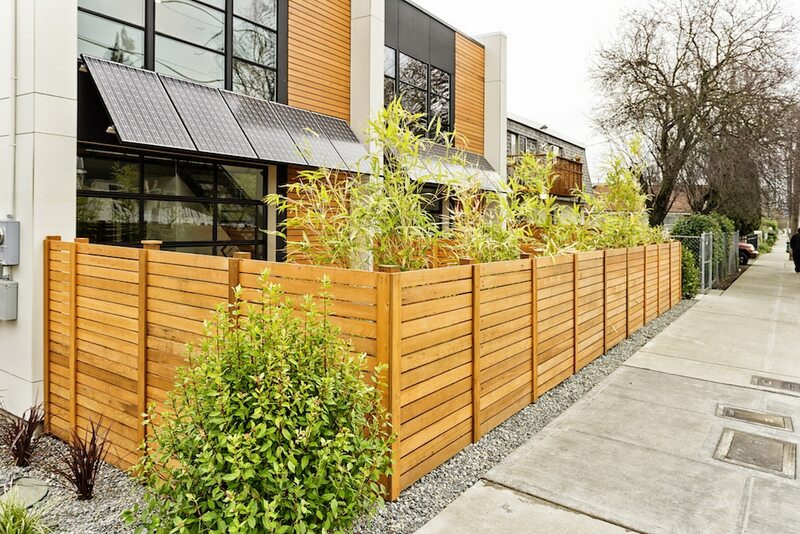 Give your outdoor area the facelift it deserves with a stylish new modern fence. Whether you’re securing an area or dreaming of a stunning feature to bring out the best in your yard, a modern front fencing design will be sure to add another dimension to your home while pumping up its overall value. We have the widest range of modern fencing styles, materials and colours to choose from to build your dream look. Browse the latest architectural styles of aluminium slats for a refined balance of security and style, check out the striking colours of Colorbond and modular fencing collections, or turn your swimming pool or balcony into a modern masterpiece with a sleek glass finish. Choose your own fencing options and let us do the work, or put our highly qualified and experienced designers to use to create you the perfect solution. Our professional fencing team work with you every step of the way to ensure you’ve got a contemporary fence you can be proud of. All fencing products are built to the highest standard of durability, toughness and workmanship so you can enjoy the most polished and strong finish available for your fence. How do we know? Because they’re made by us, right here at our factory in Hoppers Crossing in Melbourne. With Everlast, you can rest assured your fence is built with Australian-made quality. Why Choose Everlast For Modern Fencing? We’re a family owned business in Hoppers Crossing with a reputation for excellent service and superior workmanship. We’re local so you can relax knowing we’re always right around the corner for advice and support. Planning a big project? we can help. Everlast also specialises in concreting, quality decking and modern landscape design. We are a one-stop-shop for creating amazing outdoor finishes. Everlast has 20 years of highly qualified, professional experience building fencing and stunning outdoor areas. With our experts, your project is always in safe hands. Looking for durable, strong and reliable products so you can enjoy your fencing for longer? Everlast are Australian owned and operated with a cutting-edge factory in Hoppers Crossing that makes our products. That’s why we can stand by them 100%.